Combining modern styling with durable construction and maximum protection, the AVS AeroSkin is an innovatively designed bug shield that looks as good as it functions. Its low profile fits snugly on the front of your vehicle and works to prevent bug guts from tarnishing the finish on your hood. It's an excellent way to protect your vehicle without a lot of cost. Installing your AVS AeroSkin bug shield is as simple as can be. It features a simple no-drill installation process that uses 3M automotive-grade tape that will keep the deflector securely mounted to your vehicle. Since it mounts flush to your vehicle as well, it's perfect for those who want a non-obtrusive look that complements your ride's appearances. You get a stylish smoke finish assured to look phenomenal on the front of your SUV, pickup, or car. The high quality ABS acrylic used to make each AVS AeroSkin bug shield is durable and built to last. Since it's backed by a limited lifetime warranty from Auto Ventshade, you can also order with full confidence knowing you're getting a quality product. The company has been around since 1935 for a reason and that's because they make accessories that deliver on quality. 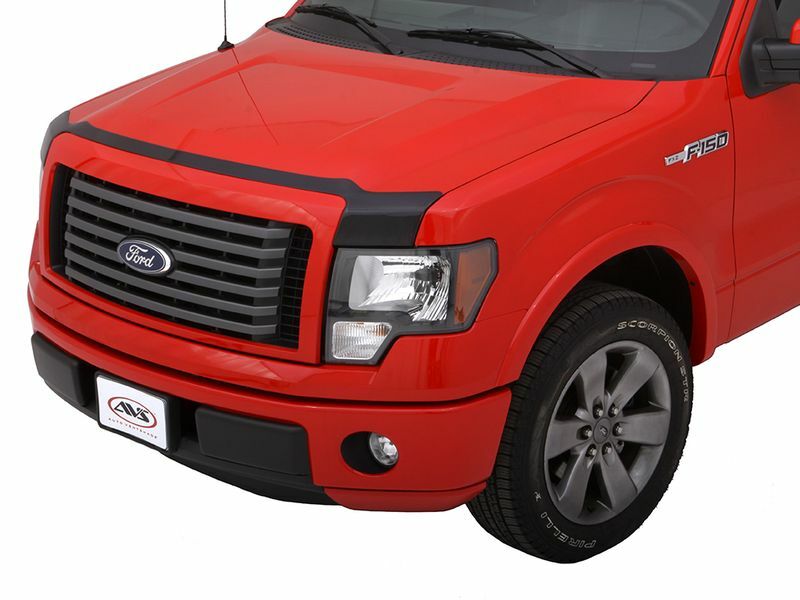 With its forward thinking design, awesome aesthetics, and durable construction, the AVS AeroSkin bug shield is a worthwhile investment for any truck owner to consider. Keep your hood and windshield safe and clean and order today! AVS AeroSkin bug shields come with a limited lifetime warranty from Auto Ventshade. 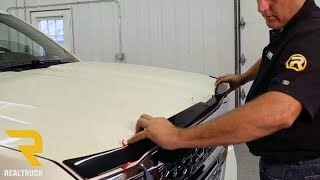 The AVS AeroSkin Bug Shields offer an easy at home no drill installation using 3M Tape on top of your hood. For additional information please call us at 1-877-216-5446 or 701-253-5906.